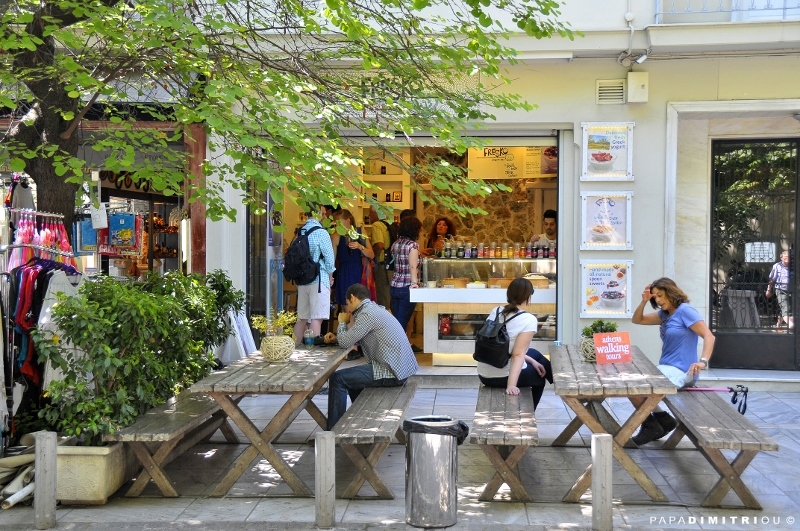 Beat the heat and the crowds by visiting the Acropolis late in the afternoon! Entering on the south slope of the Acropolis, you’ll visit the Dionysus Sanctuary and Dionysus Theater before you walk up the slope leading to the Acropolis monuments. Panoramic views of the city will be perfect for Instagram-ready photos. As you explore the Acropolis with your guide, you’ll gain insight into the significance of its historic monuments including the Parthenon, the Erechtheion, the Propylaia and the Nike Temple. 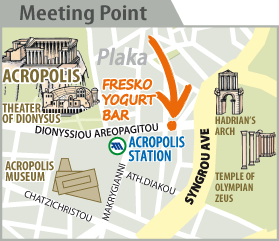 Our staff, holding an orange Athens Walking Tours sign, will be waiting for you at "FRESKO" Yogurt Bar located at 3, Dionyssiou Areopagitou st, which is at the beginning of the pedestrian walkway that takes you from Hadrian's Arch, Siggrou av (also written as Syngrou), to the Acropolis. Please be at the meeting point 15 minutes prior to given tour departure time. For more information on discounts and special rates please read the FAQ about discount and special rates.